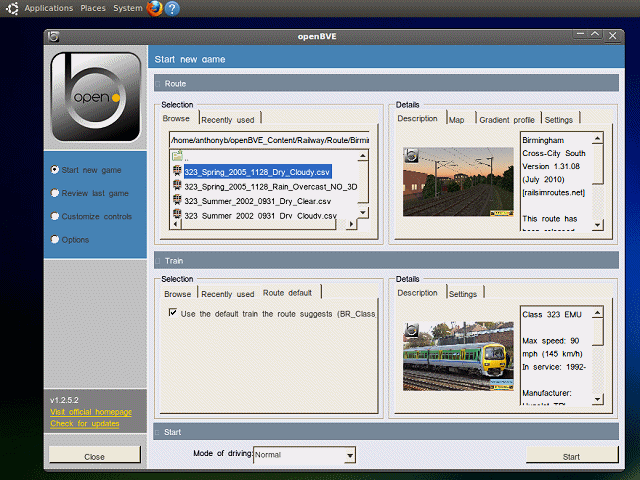 In this section, we're going to install the version of openBVE which is supplied via Ubuntu's repository, and upon installation, a libre version of the Birmingham Cross-City South route will be automatically installed as well, ready to use. 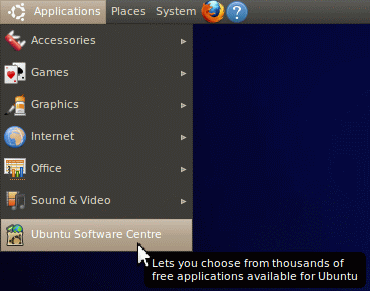 The version of openBVE which is available via the Ubuntu Software Centre is very easy to install, however the version number of this release may lag behind that of the official release sometimes. If you want to know how to manually install the latest official version of openBVE instead, please skip to the relevant section of this guide. You will be prompted for your password at this point, but then, openBVE and a specially prepared version of the Birmingham Cross-City South route will be downloaded and installed automatically. The /usr/share/games/bve/Railway/Route/ folder will already be opened when openBVE starts, and as shown above, you can now proceed to open the 'Birmingham_Cross_City_South' folder, and find a suitable route file to load. You can also read more about openBVE's interface and features, by clicking here.